​UEFA has confirmed that Video Assistant Referees (VAR) will be implemented for all of the matches in this season’s Champions League knockout stages. It had been confirmed at the September meeting of the UEFA Executive Committee that VAR would be introduced in time for the 2019/20 competition, but they have been in discussions about bringing it forwards after good progress in training and testing. After their latest meeting, ​UEFA has confirmed that VAR will be introduced in time for this season’s Champions League last 16, which kicks off on 12 February 2019. 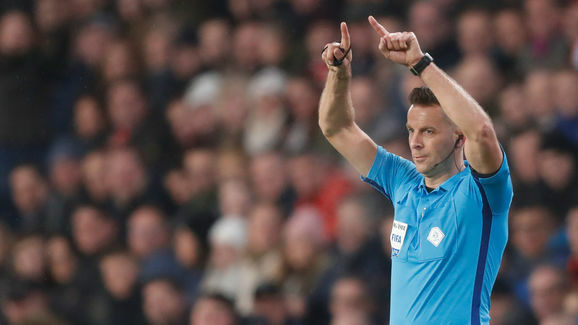 Having initially been the subject of widespread scepticism, VAR is now an integral part of the modern game in many countries. It was introduced in the Bundesliga and Serie A last season, following by La Liga and Ligue 1 this year. It was also successfully implemented at the 2018 World Cup, and the Premier League voted last month to use VAR from the 2019/20 season onwards. UEFA will look to use VAR in all of its competitions going forwards, including Euro 2020, the 2020/21 Europa League and the 2021 UEFA Nations League finals. Ten European referees officiated games with VAR at the World Cup and all of them have been appointed to Champions League matches so far this season, so they will be well-versed in how to use the technology. As it is used currently, VAR can be used to review goals, penalty decisions, straight red card decisions and cases of mistaken identity.